Tree Removal, Tree Trimming & Cutting Services in Lansing, MI. (& East Lansing & Okemos) We proudly bring a crew of over 10 years’ experience to every job and get it done safely & reliably. We quote a fair price based on the work required to get the job done properly. 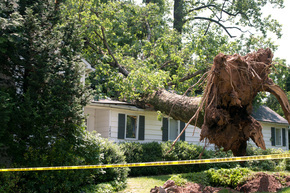 Other services include Stump Grinding, Fruit Tree Pruning & Emergency Brush & Storm Damage Removal. Specializing in removal of trees under 60' tall and less than 36" diameter at the base. Lansing's Most Experienced Tree Crew: As the best Tree Services Company in Lansing, our workforce possesses an outstanding work ethic. All of our crew members are experienced in professional tree cutting service & removal. We take our jobs very seriously to ensure quality, safe tree cut & removal. We take on jobs other companies walk away from. Lansing's Most Fair Pricing: We provide free estimates to our customers. We will not low ball bid for the sake of it, and always make sure that we quote fairly based on the work required to get the job done properly & safely. Rest assured, we build our reputation on affordable tree work that doesn't break the bank. Lansing's Most Ethical Company: It is important for us to treat our customers well and give them the best tree service they deserve. The owner of this company has over 25 years’ experience serving the Greater Lansing area and puts his reputation on the line for every project. We take care of our customers like they’re our own family. We value your time: Once we begin the project, we finish it in a timely manner. We do not drag our feet when trees need to be removed, and we're not here to waste any of your time. We take pride in this business as Tree Removal Experts that are very proficient in our service; we want to impress you by how smoothly the work gets done. We do quotes every Sunday! Your tree must have vehicle access. We are group of men that love being outdoors. We have lived in the Greater Lansing area for over 30 years and Tree Removal is what we do best. We are growing into a bigger company with equipment that allows us to do the job in a fraction of the time. Moreover, we ensure absolute safety as each crew member is trained by the owner with over 25 years’ experience. We take care of the Lansing community very well, because each of us have a reputation to uphold in the community. Our goal is to become the fastest growing tree service company in Mid-Michigan, and we will only get there by building long-term relationships with every client we have the opportunity to serve. We are hard-working people with second-to-none work ethics. We are very quick to respond to emergency calls after storm damages or some other act of God. We take calls all year around to quickly come get that tree out of the way! Our immediate service has impressed our clients, and they have referred our company to their friends and leave us raving reviews. We take emergency situations as our opportunity to rise up and shine as the best tree removal company in Lansing. We have deep a understanding of the ecology of trees and how proper fruit tree pruning or maintenance trimming on young growing trees can actually yield to more fruits or grow into a more structurally sound tree with great integrity. It can also save you lots of money when branches are removed before a storm knocks one down into the house. We have the proper equipment and professional tree trimmers to take off, even, the most difficult branches. We can prune your fruit trees to yield more fruit in the years to come. Stumps can be unsightly if left in your yard and can attract infestation, parasites & fungi, which can transfer to other trees nearby. It's also a potential hazard if you have little children that play in the yard. Our high-end Stump Removal machines will get the job done quickly so you can get grass to grow back in like it never even happened. The grindings are a great source of compost material, however, if necessary, we can remove this debris as well. No pressure, we'll come to your home and give you an accurate, fair quote based on 25 years of experience to do the job safely & effectively. We give you detailed explanation on the breakdown of our price so that every customer feels comfortable knowing that they are dealing with a company with integrity. You may be pleasantly surprised that our tree removal cost is very affordable for you. To provide the best tree services in the Greater Lansing area and solve our customers’ problems along the way. We are growing every year, adding new equipment, adding more highly experienced & skilled staff, acquiring tree doctors & arborist, and growing in revenue & positive reviews every year. We are feeling extremely optimistic about the future and where we are headed. We are very motivated & driven people that want to reach new levels of success with great service & company brand. Our goal is to become the most reputable tree service company in the Greater Lansing Area.